Looking for a side of beef? High Country Highlands offers Highland Beef for sale to the general public. Our beef is all natural, all the time. We know our animals and we know what they eat. There’s NO added hormones, steroids, Animal By-products, corn or soy in our beef program. Our beef is 100% grass fed with locally harvested hay and always has access to clean mountain water. Once finished, our animals are processed humanely at Steving Meats, a local family owned USDA certified processing plant in Kersey, Colorado. They only process one animal at a time and everything is cut by hand. This facility is a Temple Grandin (low stress) designed facility which is key in the post-mortem stage of processing allowing the tenderness and quality to come through. The beef is then hung and dry aged for a minimum of 21 days. 100% grass fed, ranch raised Colorado Natural beef! We invite you to come visit Maryland Creek Ranch and see where your meat comes from. No added hormones, antibiotics, or preservatives. Significantly reduce the price of meat by purchasing in bulk. Save stressful trips to the grocery store. A little freezer space goes a long way! Recent Studies have also proven lean beef provides your body healthy fat and decreases your risk of heart disease by lowering bad cholesterol. You can’t beat the flavor of ranch raised beef. The highest quality beef, from our family to yours. Support your local rancher. Put your money where your heart is and support your local communities. We are part of the 94% of Americans who agree that animals raised for food deserve to live free from abuse and cruelty. All our beef is USDA inspected in-house at Steving Meats. A “Finished” beef comes in around at 400 or so pounds. 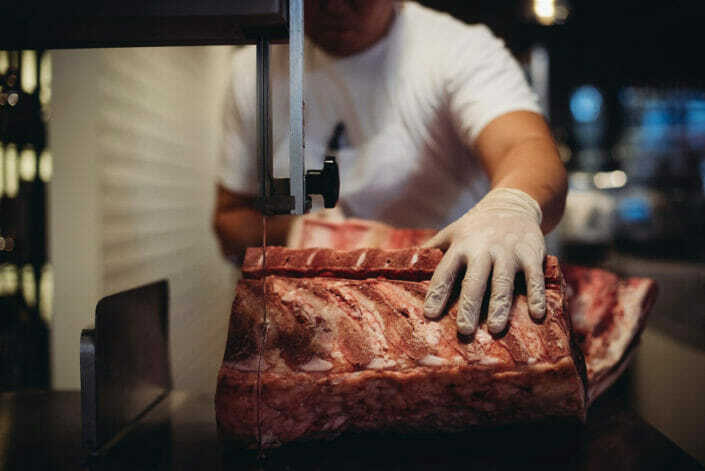 We pay extra to have your beef cryo-vaced, a process that removes all of the air from the package which ensures the freshness and quality of your beef will be great, down to the last steak. But in our experience, the beef is consumed pretty quickly once people find out just how flavorful and delicious it is! 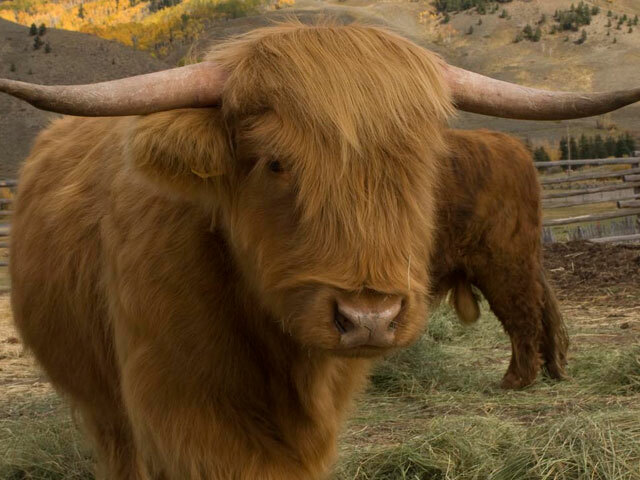 High Country Highland’s ultimate goal is to achieve the highest quality breeding fold as possible. We on occasion though have a unique selection of registered Highlands for sale. We are also open to the idea of trading a few of our new year’s calves with other breeders of high-quality bloodlines and Pedigree. If this interests you, please feel free to drop us a line by phone or email and we’d be happy to discuss the possibilities! Please give us a call! Colorado raised 100% grass fed natural beef. We sell it all: Whole Beef, Side of Beef, and Quarter of Beef priced by the finished weight, NOT the hanging weight.